The holidays have arrived with jingle bells. And while you’re busy bouncing from ugly sweater soirées to galas galore, we’re here to help you keep your hair and makeup flawless with five easy do-it-yourself styles. Read on for looks that keep you photo-ready. Whether you’re looking for glammed up or understated, you can’t go wrong with this classic style. 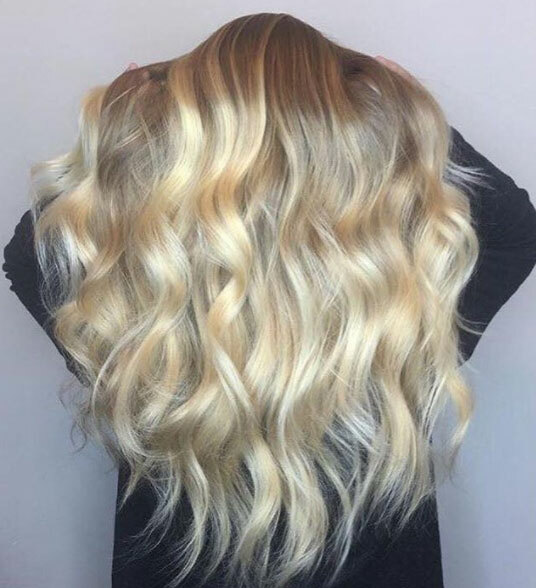 This is one look you can achieve yourself—all you’ll need is Pure Abundance Hair Potion to create volume and texture, a 1.5-inch curling wand, brush, ponytail holder, hairspray and some bobby pins. For a stronghold that lasts all night (and fights frizz), we suggest Aveda’s Control Force Firm Hold Hairspray. For that softer, touchable hold that still keeps flyaways at bay, Aveda’s Air Control works wonders. Learn more about creating the perfect updo (or give us a call for a professional finish). 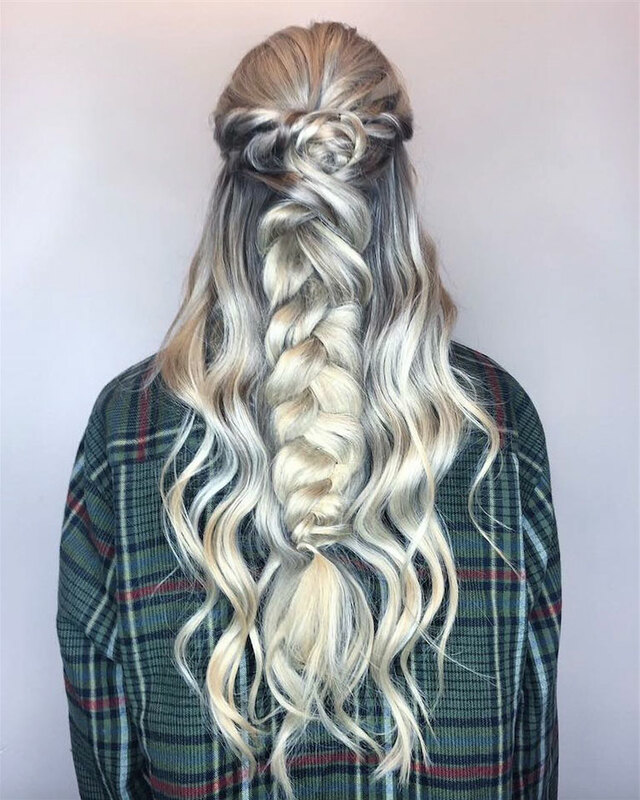 From fishtail to French and everything in between, braids are brilliant. The intricate detail looks like you could have spent hours creating a look that can be accomplished in mere minutes. Constructing the perfect braid is all about using the right styling products. Our secret weapon is Aveda’s Shampure Dry Shampoo; it removes any extra oil, leaving your hair looking freshly washed. For more tips and tricks to create the perfect braids in minutes, check out this easy tutorial. If you want more of a professional finish, give us a call to book an appointment. Applying makeup is about accentuating our assets, which is why we love a bright lip. Enter: Aveda’s new Birds of Paradise Collection. Its vibrant colors are the perfect blend of bold and barely there for a finish that will leave you feeling flawless. One of our favorites: Nourish-mint Smoothing Lip Color. Not only will your color stay fresh all night, your lips will stay kissably soft and satin smooth. (Bonus: 75% of women notice fuller lips after two weeks). One secret to keeping your color strong all night: Use a colorless lip liner as a primer then apply a creamy berry or red color for a little added drama. Finish your look with a little gloss in the center of your lips. We’re riding the beachy wave all the way to its pending style icon status. It’s fun, yet graceful—and best of all—easy to create. 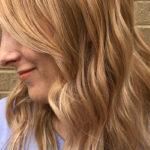 Plus, you’re in great company because international supermodels rock tousled tresses regularly, both on the red carpet and every day (Translation: this quick-fix look can be dawned during a formal affair or family get-together). 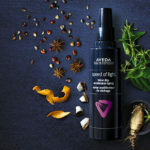 With Aveda’s Texture Tonic, the lived-in look is even easier. It’s made from salt water and sugar cane, adding natural texture that lasts all day or night. Spray on, give your hair a few good squeezes and blow dry (if you want—or let your hair air dry) and you’re done. Watch supermodel Anne V achieve gorgeous waves using Texture Tonic. The classic low pony has long been a hairstyle staple. It adds a modern sophistication we can’t get enough of. 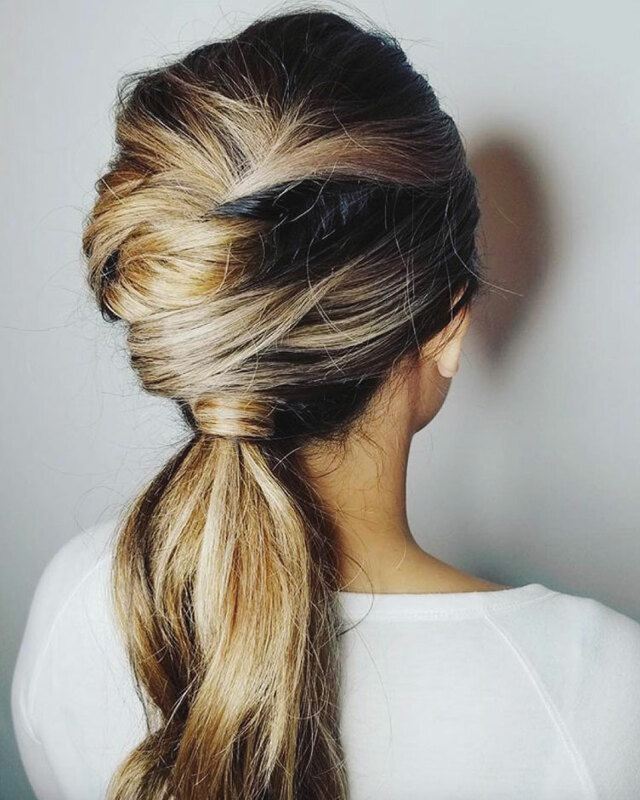 Another reason we love this look: all you need is a brush, a bobby pin, a ponytail holder, and hairspray. 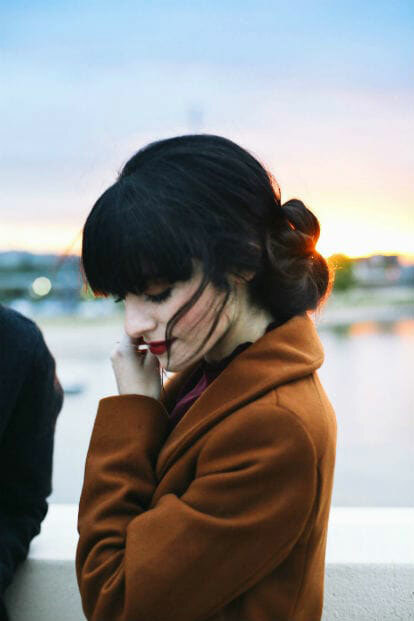 We love to secure this style with Aveda’s Air Control for a soft, touchable hold sans flyaways. There’s always room to take the basic pony to the next level. Watch this quick video for a few extra tips and tricks. 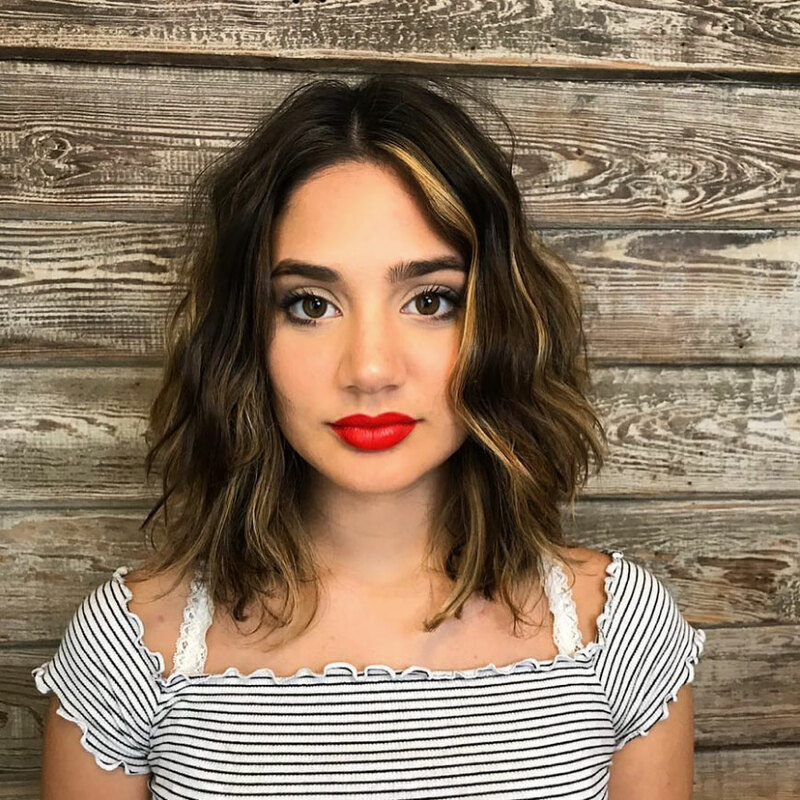 There’s still a little time to make sure you have a fresh color and cut to go with these gorgeous styles. Give us a call or book online.